1. 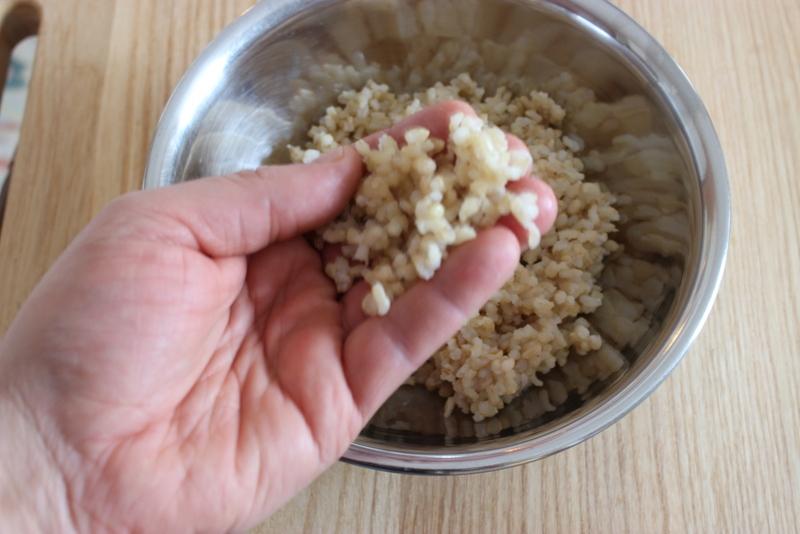 Get prepped: Crumble 3 cups cooked brown rice; use your fingers to separate the grains more or less. Set out 1 1/2 cups frozen peas to thaw at room temp. Slice 6 oz. ham into 1/2-inch dice (about 1 1/4 cups). Chop 3 sun-dried tomatoes, thinly slice 4 scallions (both white and green parts), and wash and pat dry 10 basil leaves. 2. 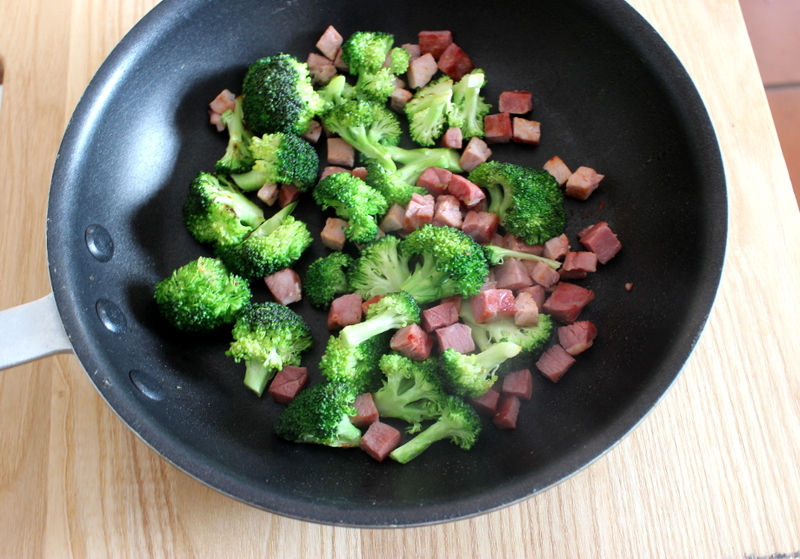 Stir-fry the ham (and or vegetables): Set a large nonstick skillet over medium-high heat. Add 1 1/2 Tbs. sunflower oil (or canola oil) and the ham and cook, stirring occasionally, until the ham browns, about 3 min. 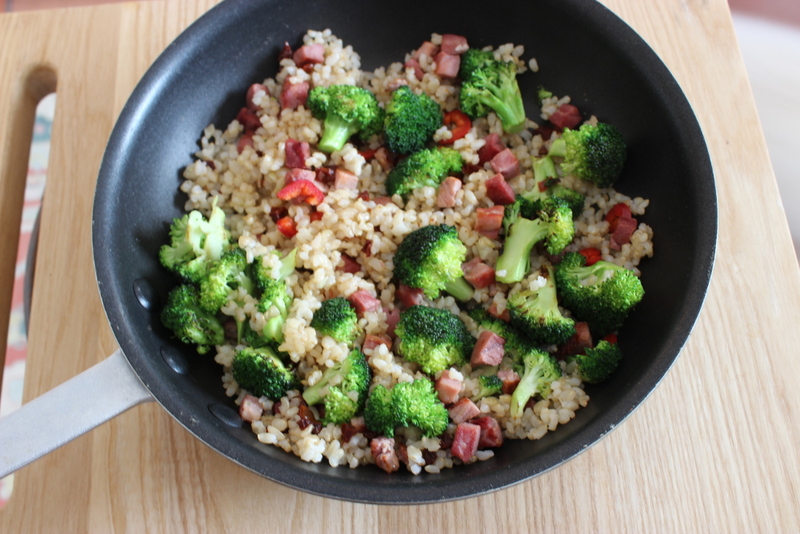 If you like, add green vegetables (like 2 cups broccoli florets or 1 cup diced zucchini or thinly sliced asparagus), sprinkle with salt, and saute until lightly browned, 2 to 3 min; note, hold off on the peas until later. 3. 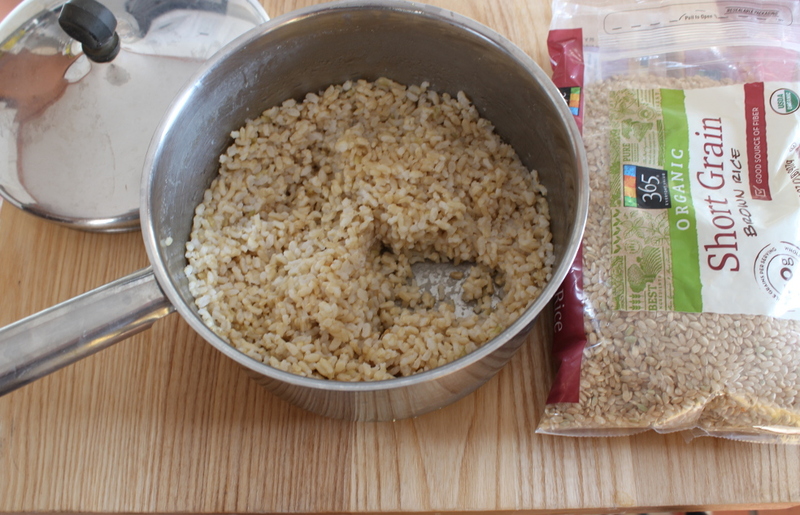 Add the rice and flavorings: Add the rice and cook, stirring, until it heats through, 2 to 3 min. Stir in the peas, sun-dried tomatoes, scallions, and basil and cook, tossing so everything mixes and melds, about 1 min. 4. 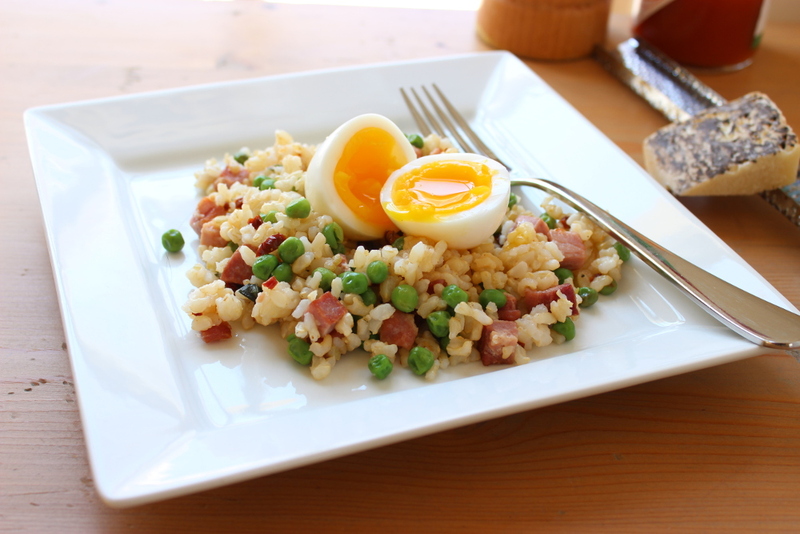 Serve: Spoon onto plates, top with poached eggs, sprinkle with Parmigiano, and serve with fresh lemon and Tabasco.